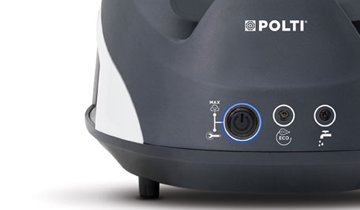 Vaporella Simply is the steam generator iron with a large detachable tank for simple and quick ironing. 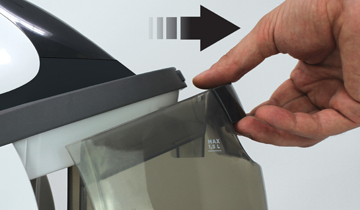 The rapid heating in just 2 minutes and the maxi 1.5 L detachable water tank that can be filled at any time allow you - compared to a traditional dometic iron - to achieve perfect results in short time. In addition, with the ECO function you have a significant reduction in electricity and water consumption. 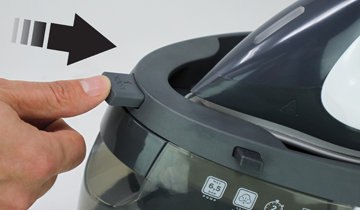 Vaporella Simply: iron faster, saving time and energy. The heating time of just two minutes, the unlimited autonomy and the ability to fill the tank without interruptions make Vaporella Simply faster than a traditional iron. Simply is the ideal solution for those who are looking for simplicity and practicality in a single product. 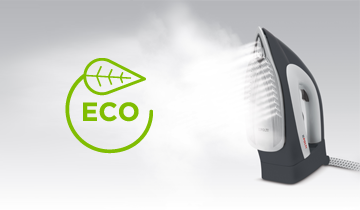 If you want to reduce consumption, choose the ECO function that guarantees up to 25% of energy and 27% of water savings without compromising the ironing result. Improve the performance and durability of Vaporella Simply by regular use of the Calc Cleaning system to easily remove the limescale ensuring better steam output. 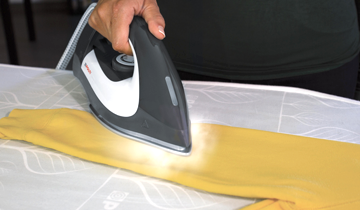 Perfectly iron all your garments thanks to the light iron with a wide anti-scratch ceramic soleplate with high smoothness and precision tip. The holes distributed at the tip and on the sides of the soleplate allow a uniform distribution of the steam. In addition, the iron parking lets you stand it vertically without always putting it on the machine. 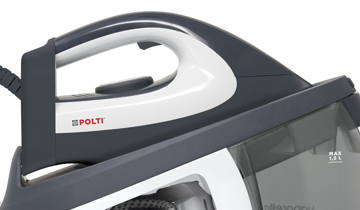 Vaporella Simply pays attention to details: iron lock for easy transport and compartment under the machine for the power cable and the water hose to store Vaporella Simply easily! -25%/-27% *Consumption in % in MAX mode compared to ECO mode.